Standard sale fixer upper ranch house with 3 bedrooms, 1 3/4 baths, large living room with vaulted beamed ceiling and cozy white brick fireplace. Modern chefs kitchen with double oven, built in gas range top, pantry, breakfast bar and dining area with ceiling fan. 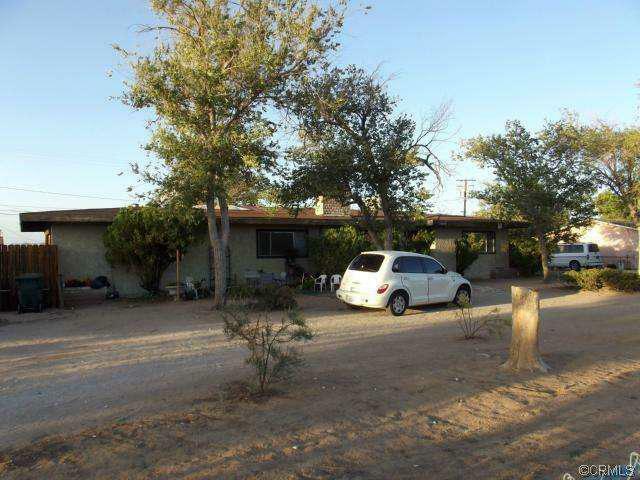 Large 19,530 level lot, two car garage and lots of parking area. Indoor laundry too...close to schools, shopping and the 15 freeway.